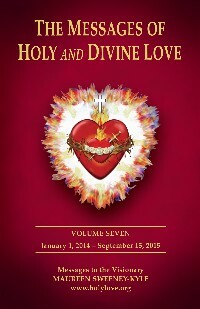 Book: The Messages of Holy and Divine Love Volume 7. 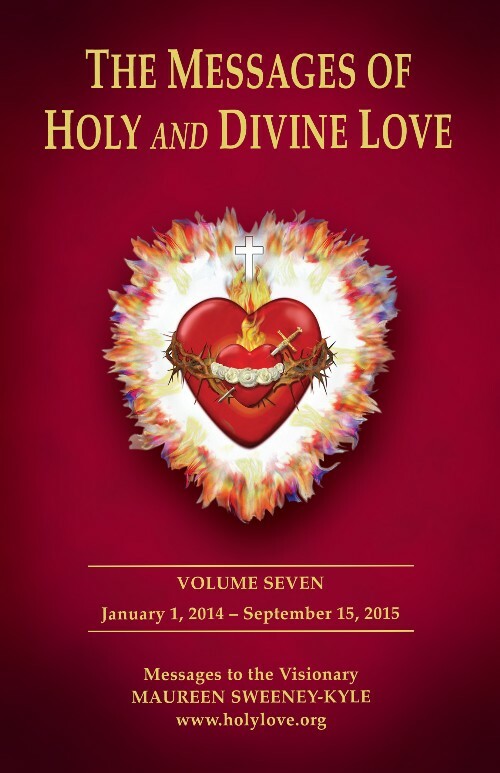 This seventh volume of The Messages of Holy & Divine Love covers the period from January 1, 2014 to September 15, 2015. Topics include: the Mournful Heart Chaplet; St. John Vianney’s Remonstrations to All Clergy; Jesus’ Blessing of Truth and Seal of Discernment; the Seven Moral Standards of Truth; new Meditations on the Way of the Cross and a description of those who reject the Cross; and much more.